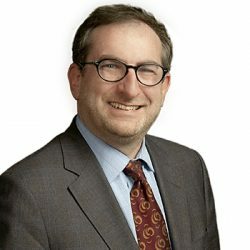 We are writing to inform members of the York University community that Dean Lorne Sossin has indicated his intention to step down as Dean of Osgoode Hall Law School, effective April 30, 2018. An alumnus of Osgoode (’92), Lorne joined York University as a faculty member at Osgoode and in the Political Science Department (1997-2002). He returned to York in 2010 as Dean of Osgoode. As Dean, he has provided outstanding leadership to Osgoode and to York, advancing the school’s profile and reputation within and beyond the University. He has worked with colleagues to develop and implement strategic plans in support of York’s priorities around student engagement and research intensification, including expansion of experiential education opportunities, the introduction of teaching innovations, and the launch of a “Digital Commons” for research dissemination. Other significant contributions have included access initiatives such as new debt-relief bursaries, an innovative income contingent student loan program, a flex-time JD model, and initiatives to promote diversity and inclusion, reconciliation with Indigenous peoples, mental health, and innovation in legal education. He has successfully overseen a revitalization of the building housing the law school, now the Ignat Kaneff Building. The celebration of Osgoode’s 125th anniversary during his deanship, as well as the 50th anniversary of its affiliation with York, provided an opportunity to highlight the school’s history and strengths. A major communications initiative around the theme “Make History with Us” is further advancing Osgoode’s profile. At the institutional level, Lorne has served since 2015 as Presidential Advisor on Community Engagement. He has played an important role in advancing York’s priorities around Indigenous education and in championing efforts to welcome and support refugees. As a member of the senior leadership team of the University, he has been an engaged and thoughtful contributor to important deliberations regarding priorities and future directions. Externally, he has been active in serving the local and legal communities, including as Vice-Chair of the Health Profession and Health Services Appeal and Review Boards, Interim Integrity Commissioner and Open Meeting Investigator for the City of Toronto, a member of the Board of Directors of the Law Commission of Ontario, National Judicial Institute, Canadian Institute for the Administration of Justice, Osgoode Society for Canadian Legal History, and Chair of the Board of Directors of Reena. Plans for interim leadership of Osgoode following Dean Sossin’s departure will be announced in the near future. There will be opportunities in the coming months to acknowledge and celebrate his contributions as Dean and to wish him well in the future. In the meantime, we would like to express our appreciation to him for his tremendous leadership and dedication over the past seven years and for his transformative efforts on behalf of Osgoode and York University.